After 17 months of restoration and more of 2 millions of euros, finally the water will flow again in one of the city's most iconic fountains, designed by Nicola Salvi and built between 1732 and 1762. During this time 3 millions of visitors have walked across the empty fountain thanks to a special temporary bridge, built to allow the people to admire closely the statues, the details of the fountain and the work of restoration. 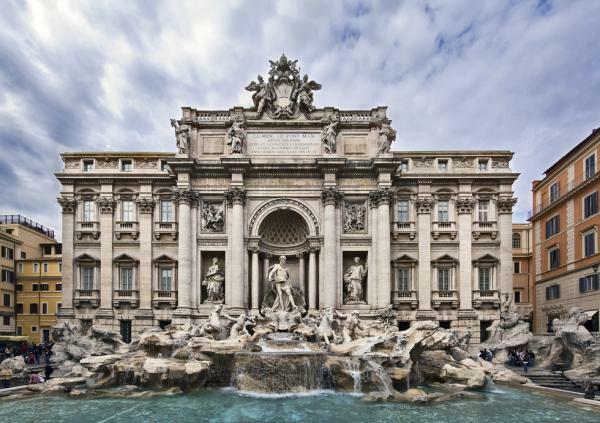 If you are in Rome in November you will see the fountain in all its splendor and you will not be disappointed. Don’t forget to toss your coin in the fountain! According to legend if you want to ensure a return to the Eternal City you should stand with your back to the fountain and toss the coin over your left shoulder.